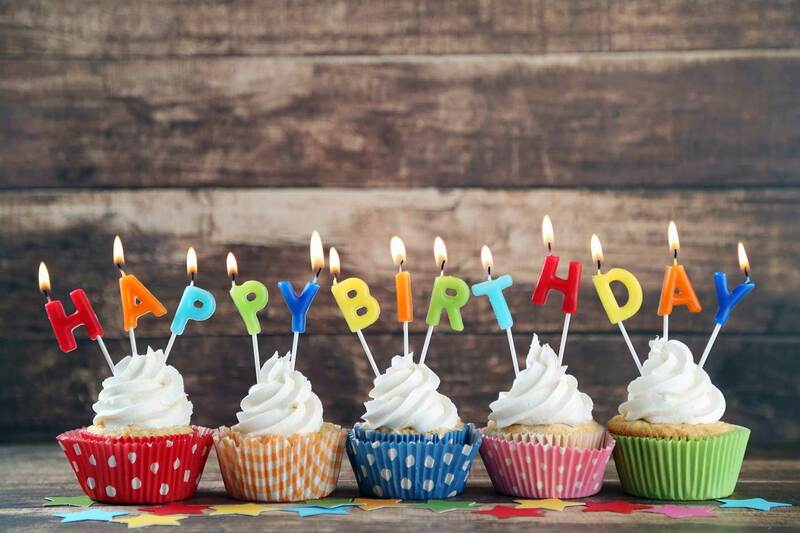 This page features a collection of unique and rhyming happy birthday poems. The verses are quite simple, easy flowing, and may be shared with moms, dads, daughters, sons, wives, husbands, boyfriends, girlfriends, or anyone else you'd like. I've shared the first one with my sister and my grandma. I wish my grandpa was still around so that I could share a funny one with him (he always had a great sense of humor). You certainly do not need to share them only with your immediate family. I often share these poems with my uncles, aunts, cousins, friends, and even strangers on the street. Ok, maybe not strangers, but maybe I'll start doing that. It's all about brightening someone's day. It usually doesn't take much (just a few thoughtful words). you're a joy that is true. may all your joys shine. is a very good sign. with those that are dear. Just like the above poem states, time does pass really quickly. Next thing we know we're six years older or even ten years older. It always seems like it was just yesterday that we celebrated this or that birthday. Unfortunately, we will never be able to stop or slow down time. The only thing we could do is savour each day, each birthday, each celebration, each candle. We need to express our feelings openly with the people in our lives, because none of us will be here forever. Express your wishes/greetings with the following happy birthday card poem. You could always add your own verse to personalize your card a bit. but the words are all true. that you're humble and kind. and sand on your feet. Well, I hope this poem fits perfectly inside that birthday greeting card that you've chosen. Best of luck sharing it. The following happy birthday poem was written to be shared with a daughter. So if you're fortunate enough to have a daughter in your life, feel free to share it with her. It's also inspirational I'm sure you could tell by the title. and you'll find your passion. has been a splendid delight. You may need to change the "I" to a "we" if the poem is from both parents. Now you just need to decide which happy birthday poem you like the best. Well, I hope it brings lots of happiness to whomever you decide to share it with.